Dialysis is a process of removing waste and excess water from the blood and is used as an artificial replacement for lost kidney function in people with kidney failure. Dialysis can be done in a hospital, in a dialysis unit that is not part of a hospital, or at home. 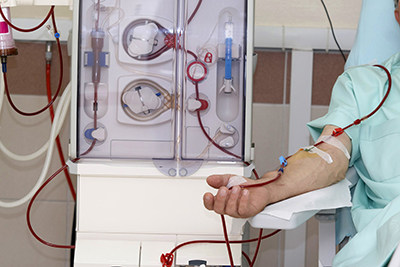 There are two types of dialysis: Hemodialysis (blood dialysis) and peritoneal dialysis (water dialysis). In hemodialysis, an artificial kidney (hemodialyzer) is used. To get your blood into the artificial kidney, the doctor needs to make an access (entrance) into your blood vessels. This is done by minor surgery to create a fistula or graft (done in the arm or leg) or a catheter, which is inserted into a large vein in your neck. In peritoneal dialysis, the doctor will do surgery to place a plastic tube called a catheter into your abdomen (belly) to make an access. 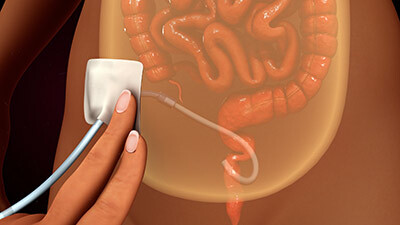 Special water (dialysate) is placed in abdominal area (called the peritoneal cavity) and "toxins" are drawn out of the blood lining of the peritoneum and into the dialysate. No blood or vascular access is needed here. Dialysis patients can gain control of kidney failure by preparing early and being diligent about following the doctor’s recommendations. They can surely hope to lead a full and fruitful life using the modern techniques of dialysis available to them. To get more information about dialysis, or you're looking to ask a question, or request an appointment, please fill out the contact form below. You may also email care@mykidneymtn.com, call (615) 452-3250 or click here.